Should You Start Franchising Your Business? Franchise businesses have evolved beyond fast-food restaurants and gas stations. There are now hundreds of different brands across various industries that offer franchise opportunities to smart and capable people. In fact, the economic outlook is bright for franchises in 2016 and beyond. If you run a successful business, you might have thought about selling franchise rights to other entrepreneurs. The overwhelming advantage is that your brand will grow at a much faster rate than you could achieve on your own. But there is more to consider. Here are some other questions you should ask yourself before you offer franchise opportunities. Will my business be appealing to potential franchisees? The truth is few businesses make for good franchises. Good franchise options have a strong appeal and clear distinction from similar businesses. For example, if you own a typical burger restaurant, it probably won’t make for a great franchise. Even if it’s a successful business, it’s not the most groundbreaking concept. But if you offer unique menu items or have other factors that make you standout, other business owner may want to replicate you idea. Is your business idea easy to understand and copy? Successful franchises are easy to replicate. Any potential franchisee should be able to understand what you do and how you do it. That means the way you operate shouldn’t be too complicated. If you do decide to go ahead and franchise your business, you should have clearly documented procedures. You want each franchisee to operate in a consistent manner so you should offer a “playbook” they can follow in order to achieve success. Can your business succeed across multiple locations? If your business is successful because of its specific location, that’s great. But it probably won’t make for a good franchise. If you’re going to offer franchise opportunities, your business should be free of location restrictions. It should be able to succeed in any suitable location that is frequented by potential customers. Do you understand the laws associated with franchising? There are a number of federal and state laws that must be followed when offering franchise opportunities. For instance, you must present each potential franchisee with a Franchise Disclosure Document (FDD) that consists of very specific information. Be sure to consult with a lawyer before offering franchise opportunities so you understand the laws you must adhere to. BookKeeping Express (BKE) provides accounting and bookkeeping services for franchisors and multi-unit franchisees and businesses. If you do decide to become a franchisor, see how we can help. BKE Partner Dogtopia Positioned for Franchise Growth and Expansion! Our friends at Dogtopia recently released impressive mid-year financial numbers. The dog daycare industry leader signed 40 franchise agreements in Q1 of 2016 and is on pace to award 100 new stores by the end of the year. Much of Dogtopia’s growth has taken place in its home state of Arizona where 12 units are slated to open in the near future. They’re also planning international expansion starting with six new units in Edmonton, Canada. Dogtopia plans to build on its recent success and soon expand to Atlanta, Boston, Chicago, Dallas, Denver, Houston, Los Angeles, New York City, San Antonio, San Francisco, and Seattle. For more information about Dogtopia franchise opportunities, visit dogtopia.com/franchising. BookKeeping Express (BKE) is proud to be the preferred outsourced accounting and bookkeeping partner for Dogtopia franchises. Our financial specialists deliver accurate and up-to-date books using modern cloud technology combined with a deep understanding of the operations of Dogtopia franchises. Discover how we work with franchises and multi-unit businesses. Congratulations to Dogtopia on all their recent and future success! Opening a franchise business comes with quite a few benefits. You get many of the advantages of owning your own business, plus on-going support from the franchise company. If you’re considering opening a franchise business, there is a lot to take into account. Depending on your industry, you likely have a few choices in franchise brands and want to make the best, most informed decision possible. The FDD provides a wealth of information but what you really want to know is how much money you can expect to make. This information is included in item 19 “Financial Performance Representations,” however the franchisor is not required to include it. Your potential franchisor will hopefully provide this information. If they don’t, you should still inquire about earnings potential. The franchise company has likely researched the viability of the location you’re considering and will have some idea of what you can hope to earn. What’s the franchisor's long-term business plan? As you review the FDD, you’ll get some idea of the franchisor’s long-term plans. However, you should still ask what their goals are for future and how they plan to accomplish them. This information will be especially valuable if you hope to eventually operate multiple units. What’s the franchisor's marketing strategy? One of the biggest advantages of owning a franchise business is much of the marketing is done for you. The franchise company is often a large business with big budgets and lots of resources that can be used to reach a mass of potential customers. Be sure to ask the franchisor what their marketing strategy is and how they plan to promote your particular location. What technology does the franchisor recommend I use? New technology is improving the way small businesses operate. Ask your prospective franchisor what technology they suggest? If they recommend specific solutions for different back office responsibilities, that’s a good sign. Does the franchisor provide any training or supplemental support? Any franchisor you enter into an agreement with should care about your business’s success. Ask them if they provide any business management, financial, or other types of training. It can also be beneficial to ask if they recommend a particular accountant, bookkeeper, tax preparer, or other partner who understands your industry. Selecting the right franchise for you doesn’t have to be an intimidating endeavor. You’ll find that a detailed FDD and asking the right questions will help you make the right decision. BookKeeping Express (BKE) provides accounting and bookkeeping services for leading franchise brands. 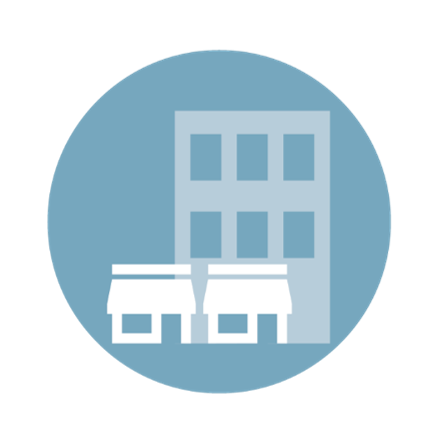 Visit our multi-unit businesses and franchises page to learn more. Many of us kick around the idea of opening our own business from time to time. It can seem like a great idea on the surface. You get to be your own boss, make your own decisions, and hopefully become very wealthy if everything goes right. However, the next wave of thoughts can bring you back to reality. Starting a business can be very costly, take up all your time, and there is real possibility that it fails. Starting a franchise can be much less risky than pursuing your own business idea. If a franchisor is opening new locations with new franchisees, their company is likely doing well. Furthermore, the franchisor probably employees smart people who have analyzed and weighed the risk versus benefit of growth. It’s resources like these that franchisees have access to but the typical small business owner does not. You might have a business concept in mind but only a vague idea of how it would operate. You don’t have the same guesswork when you’re preparing to open a franchise business. You’ll be given directions on how to operate, so much of the trial and error new businesses go through will be avoided. You’ll also know what the branding and store design will look like so you’ll always have a clear vision of the look and feel of the business as you prepare to launch. One of the scariest parts of opening a business is paying for all the startup costs while you wait for consistent revenue to start coming in. You can create a business plan and estimate costs but it’s not uncommon for unforeseen issues to arise, especially early on. Franchisees fortunately are given insight into startup costs. The franchisor must include initial fees and investment costs in the Franchise Disclosure Document (FDD) they present to potential franchisees. It’s often said that a business’s success is greatly influenced by its location. However, there is so much to consider when selecting a location for a new business and little you can do if the space you chose doesn’t meet your expectations. Most franchisors have a plan for growth and future locations mapped out. When you inquire about launching a franchise, they’ll likely help you select an ideal area and store space. Once you sign on to become a franchisee, the franchisor is going to do everything they can to help you succeed. They’ll not only tell you the best way to operate, they’ll likely also provide guidance that can help you become a better business owner. That could include training on financial recordkeeping or advising on what technology to use. It’s in the franchisor’s best interest to help all their franchisees thrive. BookKeeping Express (BKE) provides accounting and bookkeeping services to franchisees and multi-unit business owners in a variety of industries. Visit our industries solutions page to learn more.